Are you planning to buy a property in Greater Noida? Are you looking for a housing complex where you can avail both luxury and comfort? If you are kind of a person who has a keenness for elegance than Ace Platinum developed by the ACE Builders would be your best choice. The apartments in the development are built with a promise to provide comfort and sophistication of lifestyle. The housing complex is built with all the features and amenities which desired by the inhabitants making the apartments more attractive to the home seekers like you. Ace Builders is one of the premium real estate developers in Delhi NCR. This construction group is tantamount to deliver contemporary quality amid excellence and diverse innovation. It has emerged as one of the outstanding entities in the real estate sector of India and is into residential, commercial and township projects in and around Delhi NCR. ACE Platinum in Zeta one is one of its latest development in Greater Noida. The township was built with an intention to provide you with affordable houses in the Delhi NCR region. If you are a kind of person who loves nature then I would definitely recommend this complex as it comes with green living facilities that you enable you to enjoy the green cover when you move into these apartments. The residential development is developed with immense care to offer elegant homes in unique styles to match everyone’s choice. Here, you will find the homes endowed with all luxury features in a realistic way. You can get a good mix of rich features and elegance at a competitive price ranging between 34.48 lakhs to 58.48 lakhs. 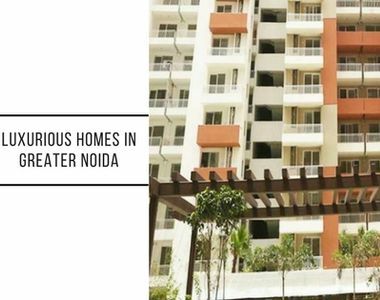 Located in Zeta one, Greater Noida, the community provides you with great connectivity to all important commercial and social places in Delhi NCR region. Greater Noida is fast developing into a commercial and social hub. If you are working here and looking to purchase your own house then Ace Platinum in Zeta One would be the best option for you. I would personally recommend you to this township because a relative of mine has recently shifted here and is very satisfied with all the facilities provided by the township. So, what you are waiting for? 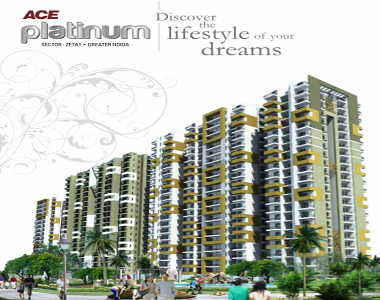 Get your dream home today at ACE Platinum Greater Noida and enjoy a classy lifestyle.